Environmental Health and Safety Assessments are necessary to assure that business owners do not run afoul of the existing regulations. Ultimately, the burden of proof that facility operations are conducted according to the relevant health and safety standards are the purview of the building owner. 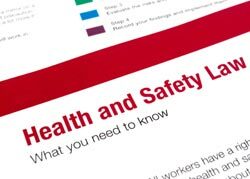 Therefore, working with a consultant that has experience in the knowledge and implementation of the relevant health and safety requirements is of paramount importance for the building owner. Adept environmental consultants will not only be able to compare and contrast the existing body of regulations but will also provide best work practices in the implementation of solutions to complex health and safety issues. Environmental Support Network, Inc. specializes in conducting Environmental Health and Safety Assessments to assure business owners that their operations are consistent with the existing body of regulations.